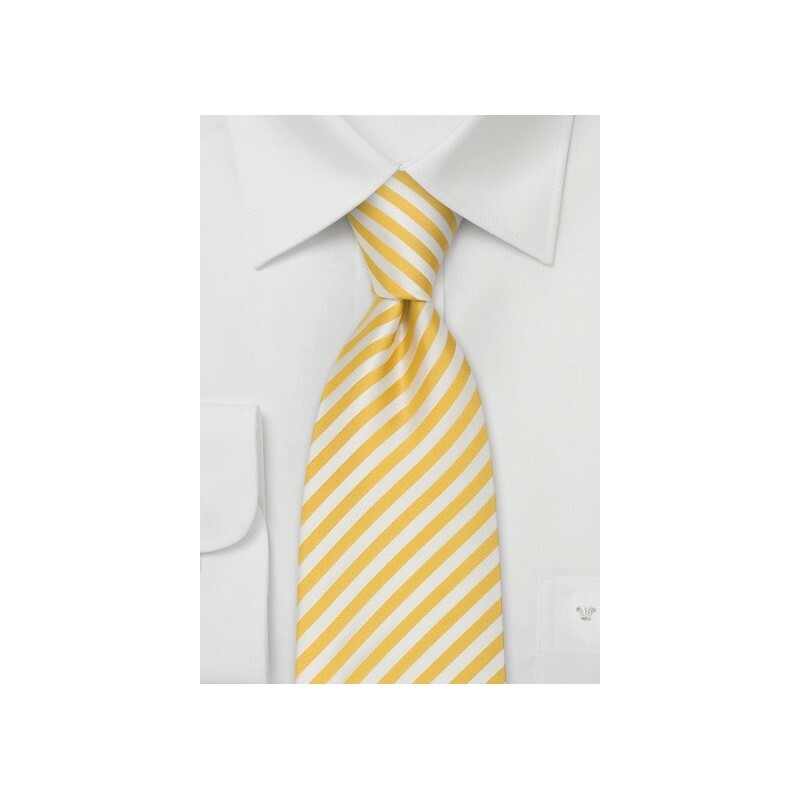 This fine yellow and white striped will make you look like a well dressed man. A stunning XL necktie that is especially well suited for the warmer sunny days. 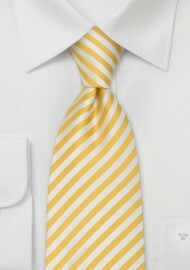 The best way to match this XL tie is with white, light blue, pale yellow, or light rose dress shirt.